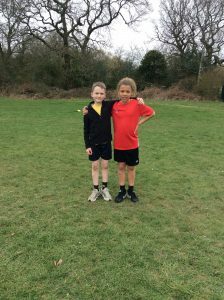 Our latest cluster tournament took us to our local partnership school Holywell to take part in a cross-country tournament. Our other local schools The Coppice and Beaconside were also represented, with 15 children taking part from each school. Our children were an absolute credit to the school by representing us outstandingly demonstrating strong sporting values of togetherness, determination and discipline. Every child performed brilliantly and we even had two overall winners. Rio (4SR) won the Year 4 competition and James (5SB) incredibly won the overall competition. An outstanding achievement by these two young men and well done all! What an amazing start to our new half term with the visit of a very special person. 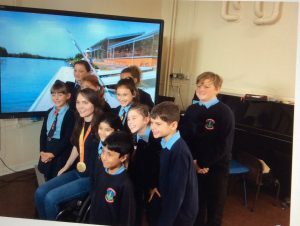 Gold medal Paralympic athlete, Lauren Rowles came into school on Tuesday for an incredible assembly. Lauren is a former pupil of the school who has gone on to achieve incredible things, including gold medal from the Rio 2016 games and also receiving an MBE from the queen. Both Key Stage 1 and 2 listened intently as Lauren spoke of how she overcame adversity to achieve her dream, acting as a fantastic role model of how our school values of perseverance, positivity and determination can be used to achieve greatness. We thank Lauren very much for coming in and also Mr Weston for organising. Keep an eye in the local paper for a report on this as well as a picture with slightly better quality. A wonderful afternoon which was a real embodiment of our school motto; dream, believe, achieve. We have been busy with our sport this half-term! 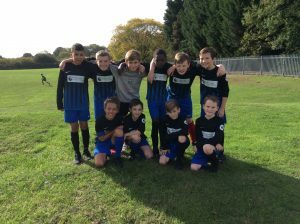 Another sporting fixture on our calendar was the Year 6 football tournament at Catshill Middle School. We were the only primary school at the tournament and we did more than just hold our own. In a very strong 8 team tournament, we were put into a group of 4, knowing we had to win the group to get into the final. We first played the hosts, Catshill, and we played brilliantly as a team against a good side. Somehow, we just couldn’t manage to score despite having many shots and we had to settle for a 0-0 draw. Next up we played Westacre, and again we were most impressive. Due to Westacre having a fantastic goalkeeper we look destined to again draw, however just before the whistle we managed to sneak a winner and won the game 1-0. So it came down to the final group game against St Johns, with the winner progressing into the final. We put in an heroic effort against a very good team but unfortunately we fell short and lost 1-0 and therefore didn’t make it into the final. However, with our points total we were awarded with the 3rd place finish. This is a very good achievement by our team playing against middle schools and I am extremely proud of our efforts, well done all that were involved! Also just before half term, Mrs Matthews, Mrs McGowan and again Mrs Bryan (we are very lucky to have her!) took 25 of our lovely KS2 children to the fantastic Bromsgrove School to partake in the annual inclusion festival with many other schools in the Bromsgrove area. It is always a fantastic event and this year was no different. Our children behaved superbly and thoroughly enjoyed their afternoon taking part in a whole range of different activities. Well done everyone who took part! Just before half-term 30 Year 5 children had the opportunity to take part in a Hockey Festival with our partnership schools at Holywell. Mrs Cupper, Mrs Bryan and our Steps2Sport coach Mr Dunne accompanied the children and I was delighted to hear at PGL the feedback that the children represented our school brilliantly. The children had a fantastic time and many of the children have been inspired to take up Hockey as a hobby after this festival, which is what our extra curricular opportunities is all about. Well done Year 5! 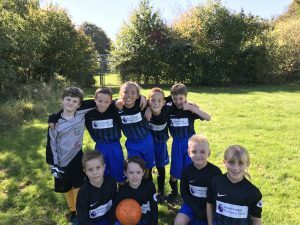 To kick off our sporting year at Lickey, nine Year 4 children went to Aston Fields Middle School to take part in the annual,and very competitive,football tournament. We were placed in a group with three other schools knowing that we needed to come top of the group to make the semi- finals. Amazingly we won all three of our group games without conceding a goal, with us beating Charford 2-0, Millfields 1-0 and Dodford 2-0 and therefore progressing into the semi finals with maximum points and confidence. We were up against a very good team from Fairfield but we put in another wonderful performance to win 2-0 and book our place in the final. We met local school St Andrews in the final, and took a very early lead through a fantastic team goal. Unfortunately, the rest of the game bought back memories of England’s game against Croatia because as we tired in the September sun, the very talented St Andrews team took control and scored two late goals to win. As disappointing as this was, I am unbelievably proud of all the players’ efforts and desire. I am perhaps even more proud of the fact we were commended by teachers from other schools on our respect for the officials and opponents and for out sportsmanship. A great start to this year’s sporting calendar.